Truly a hop and a skip from Quechee Gorge, you’ll discover a natural wonder known as VINS – that stands for Vermont Institute of Natural Science. Explore the Gorge, then head to the nature center. It’s easy to do both activities in one day. VINS is open seven days a week from 10 a.m. to 4 or 5 p.m., depending on the season. Find seasonal hours and directions here. 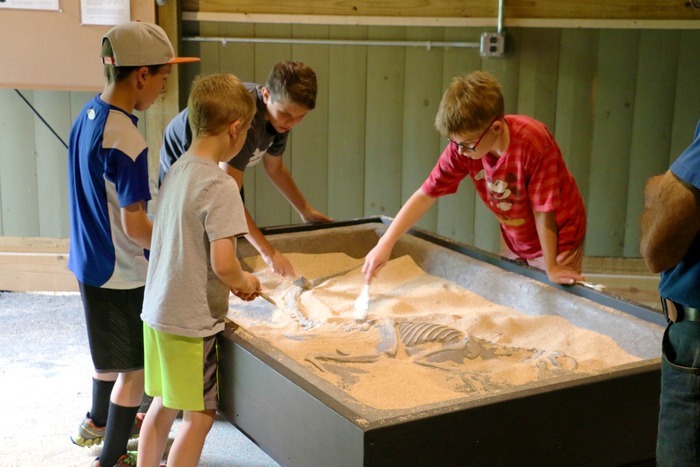 Discover exciting exhibits, a nature camp for children, multiple trails, audio tours, a gift shop, interactive shows and more. 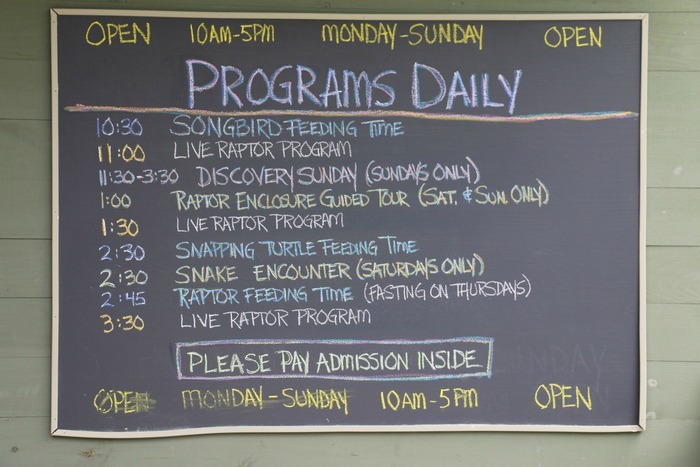 There’s also a wild bird rehabilitation center, as well as a daily program schedule. During our visit, we saw bald eagles, a large variety of owls, ravens, falcons and more. All of the birds had been rescued and were being rejuvenated on-site. 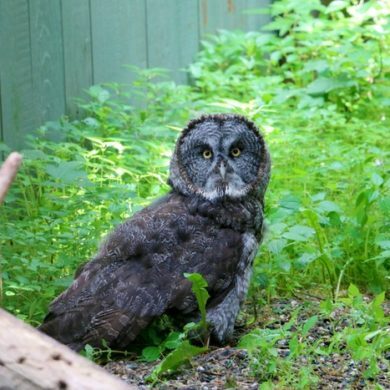 After rehab, they are not able to be safely returned to the wild, so this is a rare opportunity to see beautiful birds in a natural setting. The birds are separated by species, and each space features detailed information with animal facts, as well as personal details about how they came to be at VINS. Natural sculptures dot the trails, where you can even view a huge bald eagle’s nest. One exhibit traced the history of today’s ‘raptors’ back to the dinosaurs. There was even a spot for budding archaeologists to brush away sand, revealing fossils. In fact, there are a ton of neat activities for kids and adults alike. Visitors can witness bird feedings behind a one-way viewing glass for residents currently being rehabilitated. If you fall in love with a bird here, you can even check in once you return home, via a webcam on the center website. You can ‘adopt’ a bird here, too. And you’ll probably want to once you see the compassionate care they receive at this truly cool and special place. VINS Nature Center is located at 6565 Woodstock Road in Quechee VT. For more information, please visit the VINS website or call (802) 359-5000.